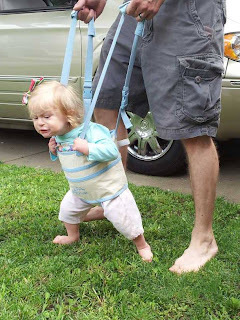 "When she is in it she tends to lean forward so it really wasn't helping her "get her balance" and learn to walk. It might have been better for a baby just figuring out what to do with their feet but for our daughter she has been holding our hands to walk for several months now...she just can't get the balance thing down yet. It does say that it is normal for it to take a little time for the child to grow accustomed to it...but we used it 3 separate times and each time she would lean forward. The funny thing is that I actually think this product would be awesome for a child that is already walking. I could see us putting her in it while we went shopping or something so we could walk with her and she can't stray too far from us and we don't have to bend down to hold her hand. (Kind of like those leash things but looks a little nicer). I also was really impressed with the craftmanship. The material is very sturdy, I imagine it lasting for quite some time. " "See how she is leaning forward? 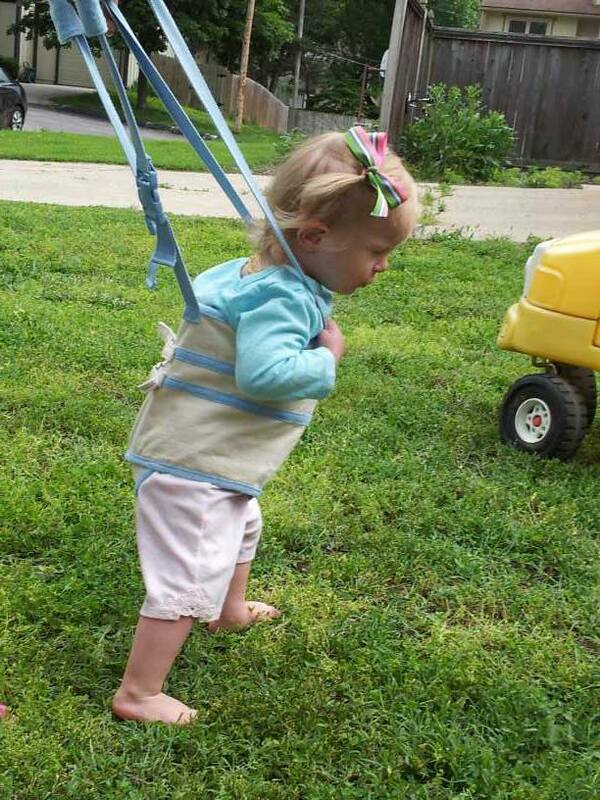 I just don't think this will help her walk at all. Its nice on our backs but I don't believe she is learning this way." 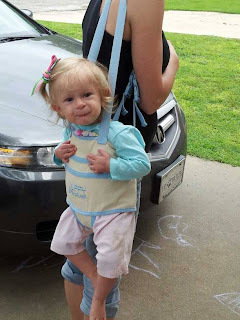 Merriett also included a photo that was funny ... of the Juppy being used as a carrier!